Summer is in full swing, which means everyone is eating corn. But we’re sick and tired of boring ole corn on the cob. For way too long, people have been satisfied with boiled corn with salt and butter. 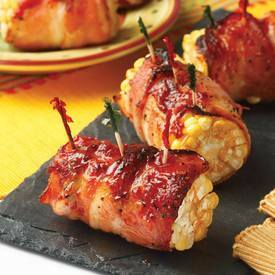 Take your corn from boring to bombastic with...BACON! !